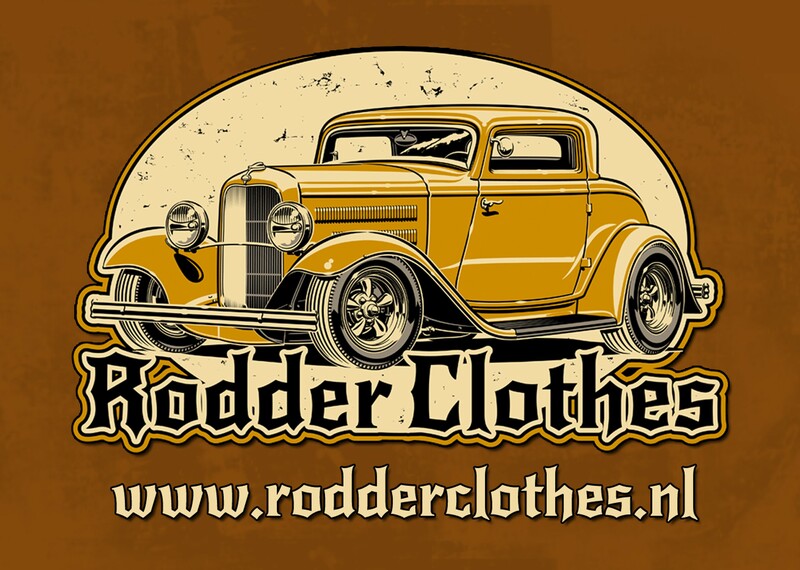 This shirt combines everything which gets the rockabilly heart beating faster: a fantastic color combination, quality craftsmanship and beautiful, detailed embroidery featuring a hot-rod, switchblades, flames, a microphone and last, but not least sculls. To sum it up: rock'n'roll until I die! If you want to express your inner rebel, this lounge shirt is the perfect choice for sure. Inspired by the elegant but casual shirts of the 50s, these Rumble59 lounge shirts make a great figure everywhere, not just in Vegags! With the lounge shirt 'Let go anchor' you are always and everywhere perfectly dressed. This 50s style classic looks fantastic with its three-tone color scheme in black, red and off-white. The collar and the vertical strips at the front panel are in contrasting off-white. These off-white strips are embroidered with black anchors. The right front panel is divided in three vertical, different coloured sections and is elaborately embroidered in the broad red strip. The shirt has short sleeves which are two-colored in red and white. The 'Rock'n'Roll until I die' lettering is embroidered above the red welt pocket on the left chest. The shirt's metal buttons are rocking a cool V8 design. Let us introduce the perfect shirt for all dudes and barflies. Your stylish appearance is guaranteed in this shirt and - whether you prefer it stirred or shaken - there'll be a seat free for you in every cocktail bar and you don't even have to be a Martini-proven member of the Rat Pack. Patrick is wearing this lounge shirt in size M.
Rumble59 offers a large selection of Rockabilly Shirts for enthusisast of the rock'n'roll style. This lounge shirt will win you over with its subtle elegance and lovely details.